Hello everyone this is Dr. Kenny. I just want to start this article today by reminding you that in order to lose weight and be healthy you need to eat and you need to eat real food. Yes, that old cliché, that you need to eat to lose weight is totally true. So even though the weight loss and diet pills help eliminate your appetite you still need to eat. That is why we give you so many delicious low calorie recipes and if you are diabetic we have lots of low carb and low sugar recipes here for you too. That’s why our patients can lose as much as ½ pound of body fat a day. 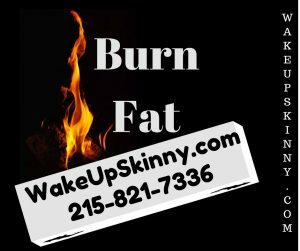 If this is your first time on our blog just call us for more information and set up your free medical weight loss consultation, call 215-821-7336. Many of us like to eat lots of salads and vegetables (and that’s really good) but the dressing we use are usually loaded with sugar and calories. So here are some phenomenal low calorie, low carb and low sugar recipes for you. To begin this recipe chop the baking into small pieces and then in a small dish mix together the cream cheese, smoked salmon, chopped bacon, onion and the cucumber. After that toast your English muffin and then spread the cream cheese mixture over One half of the muffins, top with the tomato slice, lettuce leaves and then just top it off with the other half of the muffin and enjoy. This recipe makes one sandwich that has approximately 190 cal, 3 g of fat, 25 g of carbohydrates, 6 g of fiber, 2 g of sugar and 19.5 g of protein. This is a really great recipe you will need a food processor for this and just place all of the ingredients in your food processor and pulse until everything is combined nicely, but make sure that it does not become puréed. After that you can store this in a container and you can keep it in your refrigerator for about 2 weeks. This recipe makes three quarters of a cup and a serving size is 2 tablespoons. Each serving has approximately 120 cal, 13 g of fat, 0 g of protein, 0.5 g of carbohydrates in 0 g of fiber. In a saucepan let’s heat the butter on high heat. Once it starts to boil and the cream cheese and whisk until it’s nice and smooth and that there are no chunks of cream cheese left. After that add the erythritol and the unsweetened almond milk and whisk together until it’s nice and smooth. Then let it cool down for a few minutes and then just pour into a jar and allow to cool down to room temperature. After that you may store it in the refrigerator usually this will stay for about 2 weeks. In time this will harden again so when you are ready to use it you will have to reheat it by placing it in a saucepan and just heated on a low heat for about 1 minute or so until it becomes liquefied. This is a really good recipe makes 1.5 cups and approximately 2 tablespoons re: serving size. In each serving size has about 70 cal, 8 g of carbohydrates, 0.3 g of protein and 0.1 g of carbohydrates and also 0 g of fiber. Here is another fantastic salad dressing all you need to do is to combine all the ingredients into a blender and mix until everything is combined nicely. Then all you need to do is forward into a jar and refrigerate this for about 2 hours before serving. If you keep this in the refrigerator in an airtight container usually will last for approximately 2 weeks. This recipe makes approximately 1.5 cups in the serving size is 2 tablespoons. Each serving has approximately 60 cal, 6.6 g of fat, 1.7 g of protein, 0.7 g of carbohydrates in 0 g of fiber. This entry was posted in Diet Doctors in Philadelphia, Medical Weight Loss, Medical Weight Loss Philadelphia, Weight Loss and tagged 39.9500° N 75.1667° W, diet pills Philadelphia, doctors prescribe phentermine Philadelphia, medical weight loss bucks county pa, medical weight loss doctors Philadelphia, Medical Weight Loss Philadelphia, phentermine in Philadelphia, philadelphia diet doctors, philadelphia weight loss doctors, vitamin B12 injections Philadelphia, weight loss philadelphia, weight loss pills philadelphia, weight loss programs Philadelphia on September 1, 2016 by Dr. Michael Kenny.